Learning employability skills is a vital part of the Godolphin-sponsored Newmarket Academy Godolphin Beacon Project. 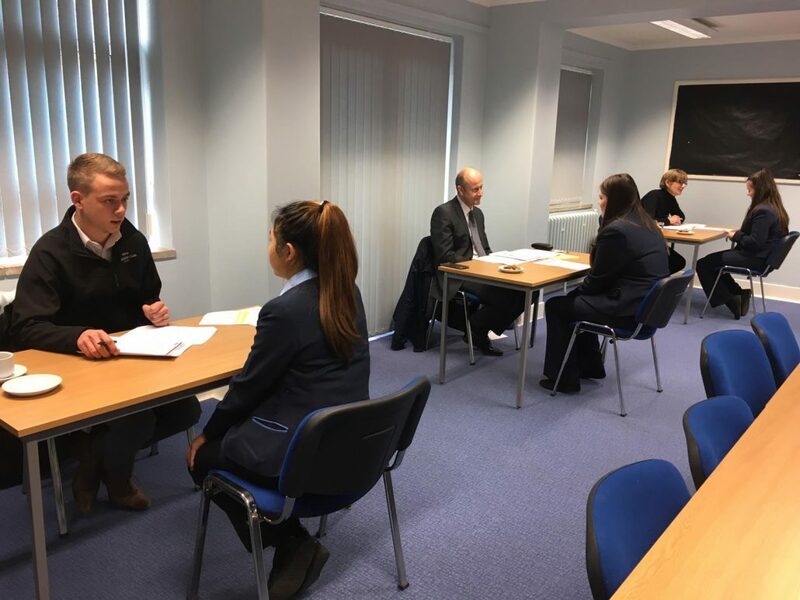 Last week, a careers speed dating event gave Year 9 students an introduction to the world of work by giving them the opportunity to pitch questions to a selection of local employers. 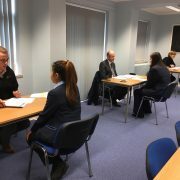 On January 29th, it was the turn of Year 10 and 11 students, who took part in a series of mock job interviews with staff from Racing to School and Jockey Club Catering. The event is designed to offer pupils an opportunity to prepare for the transition to post-secondary education and to start gaining the skills that will help them secure a job in the future. A group of 19 young people was chosen, all of whom had either a special educational need or disability (SEND) or English as an additional language (EAL). Each student was asked to think about their future ambitions and career goals, then note down their two dream jobs. This task delivered a diverse range of potential careers paths, including Lawyer; Chef; Pilot; Plumber; Game Tester; Vet; Landscape Gardner and Travel Agent. The students were split into four groups to face a friendly but formal set of questions from Matt Bailey and Ben Williams from Jockey Club Catering and Racing to School’s John Blake and Judith Allen. 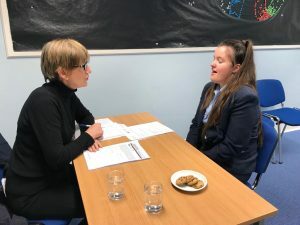 The purpose of these sessions was to provide an opportunity for the 15 and 16-year-olds to experience what an interview is like; they also got the chance to ask questions and learn the skills and techniques they can use to work towards their dream job. For many of the pupils it was the first time they had given serious thought to their future and receive practical advice on how to go about achieving their longer term ambitions. We are extremely grateful to our colleagues who contributed to this event, and to Godolphin for their continued support of the programme.